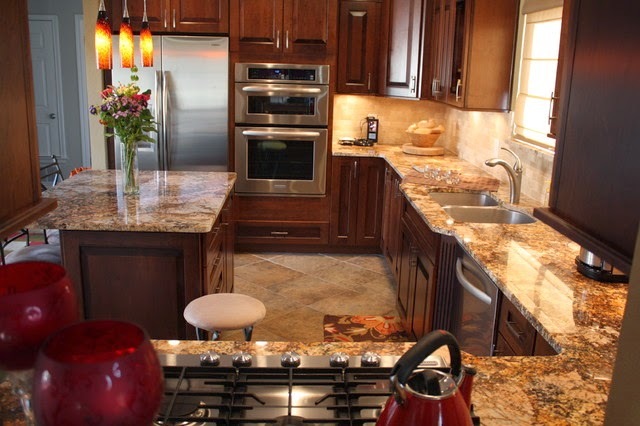 Here we continue finding great and inexpensive tips to adding some more value to your home. What is the first room everyone goes to when they’re looking at a potential new home? Some say the living room or bedrooms, perhaps the front or back yard, but in many recent poles it seems the kitchen is number one on the list! There are so many things you can do to spruce up the kitchen! Just take a simple look around it; consider the faucet, the cabinets and drawer handles, light fixtures, etc. Most of these “fixes” are relatively inexpensive, and upgrading them can make a big difference to the overall look and feel of the number one room in the house! What else can you change about your kitchen? Do you desperately need some new cabinets, or is the stove so scratched and banged up that it just looks horrible? Don't despair; there are so many different ways to improve the look of appliances, shelves, cabinets, just about anything in the home, so long as it nothing but wear and tear, (but not hazardous or truly damaged) you can most likely fix it. If it’s broken – fix it, get replacement parts, or add a new look to it by repainting, staining, or whatever the need may be. Just take the time to do just a little research, and if you must upgrade an appliance it will end up being well worth the money as you could easily get double or triple the money after the new appraisal. Also, consider the walls also, and the whole “feng shui” (if you will) of the room – does it clash, does it harmonize and look inviting? Consider these things – the potential buyer certainly will. Think of anything and everything that will add some depth, and give an overall better look and feel of the room and simply apply them. Whether you're on a tight budget or not, there are several upgrades you can make. I've given you a few, but please feel free to add any more tips in the “comment” section.